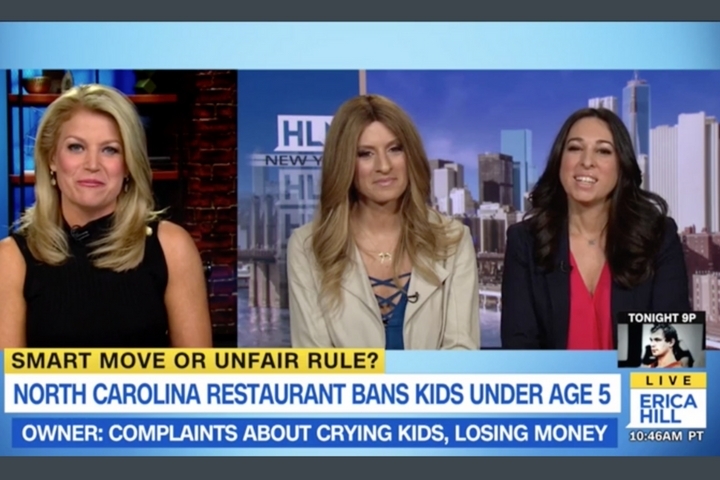 The MOMS on HLN: North Carolina Restaurant bans kids under age 5. The MOMS joined Susan Hendricks to discuss their views on a restaurant in North Carolina who is banning kids under the age of 5. Take a look, Denise and Melissa shared their opinions on whether they are for or against the ban at the restaurant.